The Charter Inspection and Evaluation Committee (CIEC), Government of Sindh issued the list of evaluation of the performance of all the working universities of sindh province, in which it ranked Iqra university on the top and Princeton University at the last. Governor of the province of Sindh permitted the list and ranked the universities of the province as per their performances recorded. The Charter Inspection and Evaluation Committee (CIEC), Government of Sindh ranked the universities of Sindh as per their ranking, the list was made according to the numbers awarded to the universities. In the list the no 1 university was the Iqra University, Institute of Business Management (IBM) at no2, Karachi Institute of Economics (KIE) was at third number, Shaheed Zulfiqar Ali Bhutto Institute of Science of Technology (SZABIST) was at fourth number and Institute of Business and Technology (IOBM) was at fifth number. One Institute and five Universities have been ranked 6 stars. In the list issued by the Charter Inspection and Evaluation Committee (CIEC) ranked only one university, which is Princeton University, the 3 stars. Meanwhile three institutes have been graded 4 stars, the list of these universities are: Dadabhoy Institute of Higher education at no twenty, COMMECS institute at no twenty-one and Princeton Institute at no twenty-second. 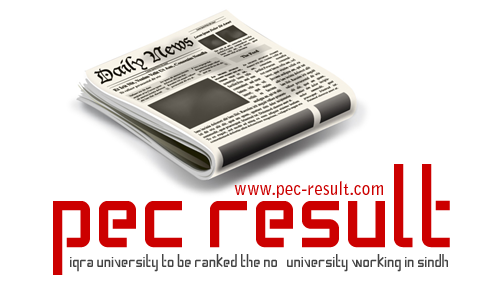 The Committee graded 5 stars to 14 universities and educational institutions. The list includes Hamdard University at sixth rank, Sir Syed University of Engineering and Technology (SSUET) at rank seven, Textile Institute of Pakistan (TIP) at eight, Greenwich University at nine, New Port Institute of Communication and Economics (NIPC) at ten, Muhammad Ali Jinnah University (MAJU) at rank eleven, Isra University Hyderabad at twelve, Zia-uddin University thirteenth, Baqai University at rank fourteen, Jinnah University for Women fifteenth, Indus Valley School of Art and Architecture at sixteen, Khadim Ali Shah Bukhari (KASB) Institute of Technology seventeenth, Zia University at eighteen and Indus University at nineteen.